Buxton is delighted to announce The Reserve, the final building of the Sandy Hill trilogy, has reached completion. The Reserve features 120 premium apartments over five-levels with two-levels of basement car parking and one retail tenancy. The $135 million, award winning Sandy Hill precinct was designed in three architectural models, beginning construction in 2012. 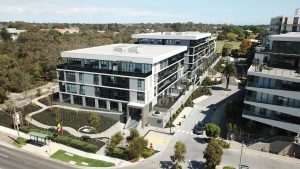 The two hectare precinct has large outdoor spaces with more than 60 per cent of the development dedicated to landscaped gardens and walkways. 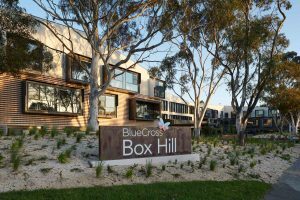 We are pleased to announce that BlueCross, Box Hill has reached completion. 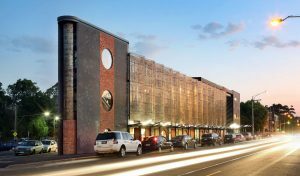 This $50 million development comprised the construction of a three-storey building featuring 171 spacious residents’ rooms and communal amenities including a lounge, dining rooms, gymnasium, cinema, library, hairdressing salon and café. 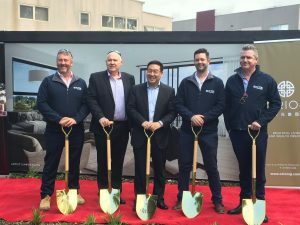 This development strengthens Buxton Construction’s position as a leader in retirement living and aged within the industry. high-density residential, recreation, hotel, warehousing and commercial sectors. In his new role of Operations Manager, Jeremy will be a valuable member of the senior leadership team and assist with the realisation of Buxton Construction’s strategic management plan. 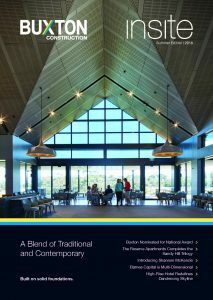 We are delighted to announce that Buxton Construction has been awarded winner of the 2018 Master Builders Association Victoria for Excellence in Construction of Commercial Buildings in the $15m – $20m category. This multi-award-winning project comprised the construction of a four-level library complex, featuring a rooftop garden, maternal and child health centre, playgroup areas, council customer service area and community meeting spaces. 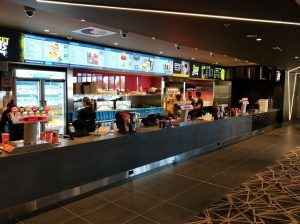 The Village Cinemas at Westfield Plenty Valley has reached practical completion ahead of programme. 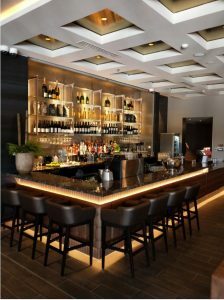 This project comprised the fit out of 9 cinemas including Gold Class, Vmax and children’s cinemas, as well as a commercial kitchen, bar, shop, entry foyer and lounge. The cinema complex was required to be operational in little over 16 weeks; 40 days ahead of the normal time allowed by Village for such projects. Construction of The Benson Retirement Village & Parish is now complete. 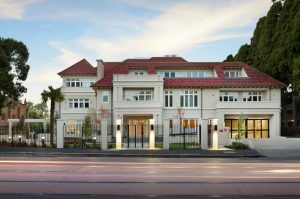 This project comprised the development of a four-level retirement living facility, linked to the existing heritage listed St Peters Parish Church. The new facility includes 33 apartments, a penthouse, dining area, meeting hall over a two level split basement car park with shortage. 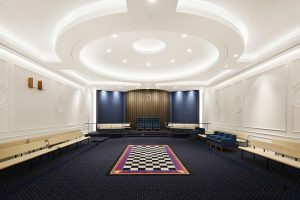 The Bayside Masonic project in Gardenvale is now complete, ahead of schedule. This project spanned over four levels, comprising a car showroom, workshop and café on the ground floor, car park on level one, childcare on level two and new lodge facilities for Freemasons on level three. 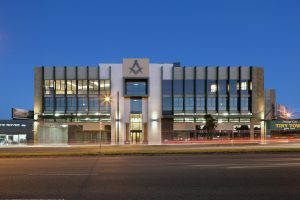 Bayside Masonic is a Freemasons Victoria project; a longstanding client of Buxton Construction. Buxton has worked with Freemasons Victoria previously on the Freemasons Masonic Centre, Box Hill in 2014. 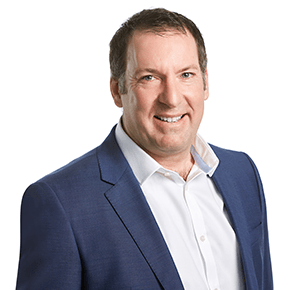 CEO Magazine recently sat down with Andrew Briggs to talk all things construction. Andrew touches on his love for building, commitment to sustainable practice and the importance of hiring the right personnel. 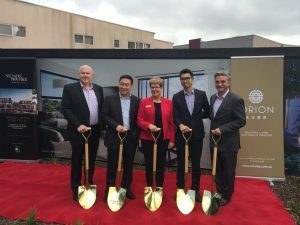 Onsite last week with client Orion International Group Development at the official sod turning ceremony for 1-7 Nelson Street Ringwood, Stage 1. This project comprises the construction of 111 residential apartments over two towers, with both buildings sharing a common ground level over a 2 level basement car park. We are thrilled to announce that Buxton Construction has been appointed as the preferred contractor for the construction of a new project – Village Cinemas fit out at Westfield Plenty Valley Shopping Centre. This project comprises of the complete fit out of three Gold Class, two V max, three V premium, and two V junior cinemas, main entry, upper foyers, lobbies, staff and admin areas, candy bar, kitchen and all back of house areas.